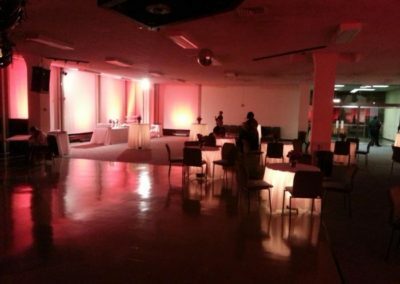 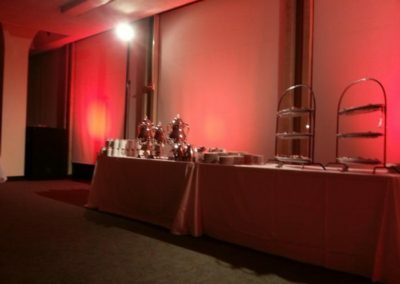 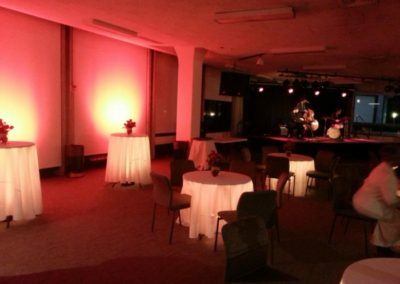 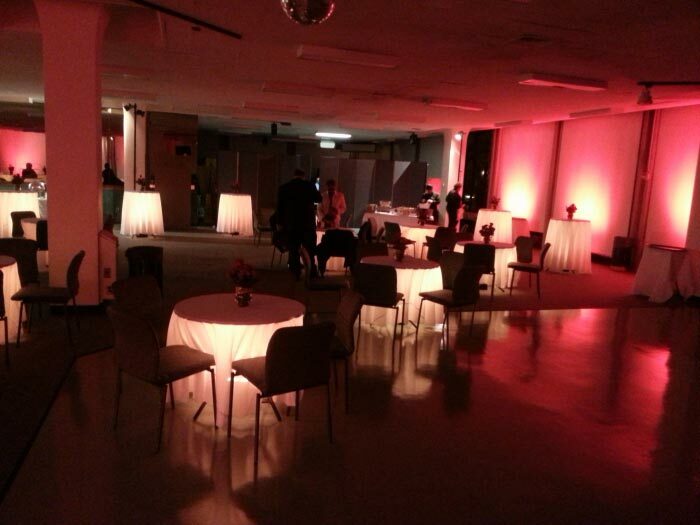 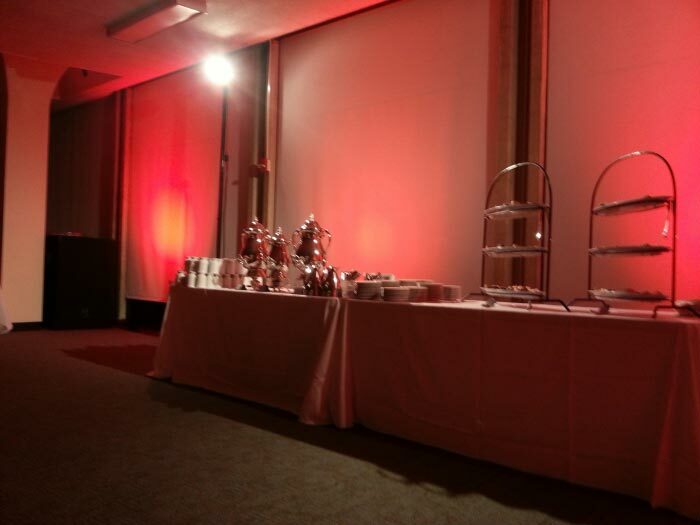 Temple University lets DFX light up their finest events! 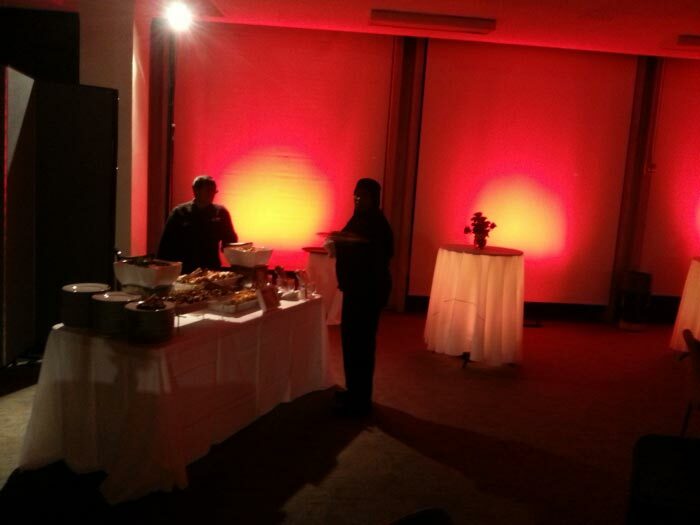 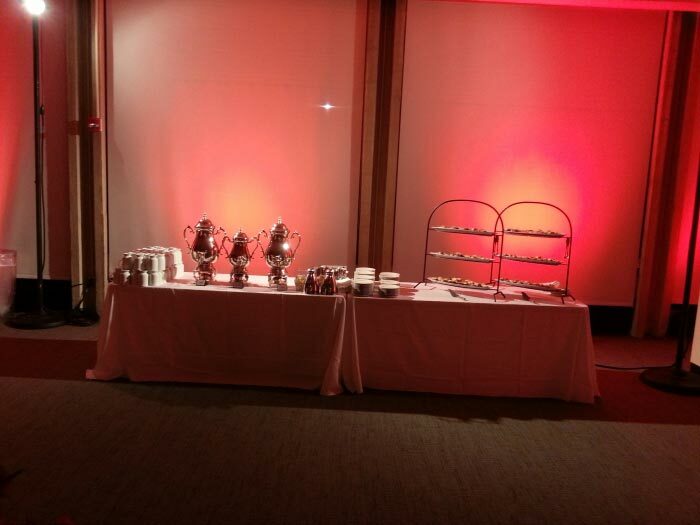 We used LED lighting in amber and red to get a cozy glow. 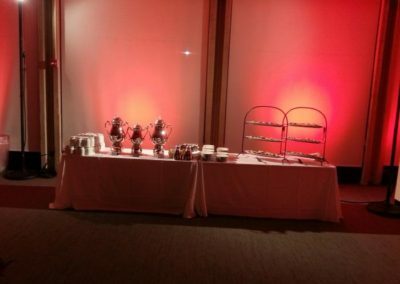 Pinspotting was used to light up the food tables up top!